Mike Peters – Direct Acoustic Tour finally comes to a close this Sunday night at the Slade Rooms in Wolverhampton. Here at MPO Towers, we would like to thank everyone who attended each and every show of the tour that began as long ago as September 21st and will officially end on Sunday, December 5th at the Slade Rooms, Wolverhampton with the official / unofficial MPO Xmas Party. If you are going along on Sunday, please wear a Xmas hat (Mike will be bringing The Tree!!!! ), and we are also reliably informed that one Mr. Peter Jones (head honcho) of MPO Team will be in town to celebrate with all of you…. So here it is Merry Xmas!!!! Tickets available here!! Lots of other great news coming your way in the build up to the Holiday Season…. starting with the fantastic news that the mighty ‘BIG COUNTRY’ will be coming to the Gathering 2011 in Prestatyn on Friday 28th January. We are down to our last few accommodation packages now so please respond soon if you are still making plans to attend!!! It’s also the start of The Alarm’s 30th Anniversary year so all in all we think this is going to be the best Gathering in the world ever!!!! Happy Xmas [Tour Is Over]….. well almost!!! MPO Team – The Gathering 2011 Starts Here!!!! GATHERING NEWS – BIG COUNTRY TO PERFORM AT THE GATHERING!!! MPO is delighted to announce that Big County will be making a special guest appearance on Fri 28th January at the Gathering. This is a fantastic coup for The Gathering and all Gatherers as many of the January Big Country dates have sold out and been moved up to bigger venues! Expect more Big Gathering news next week!!! Mike Peters to sing for legendary celt-rockers Big Country who are all set to return to the British stage in January 2011. Big Country exploded onto the scene in 1982-83 with anthemic songs such as ‘Fields Of Fire’ and ‘In A Big Country’ which were culled from their classic debut album ‘The Crossing’ which sold several million worldwide. They followed up with a number one album ‘Steeltown’ and released 8 studio albums all of which entered the Top Ten. 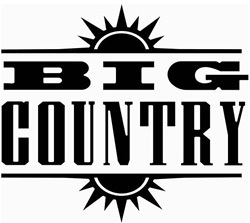 Big Country released 28 singles 5 of which were also Top Ten. Approaching their 30th anniversary, Big Country (with Mike Peters as guest vocalist), are lining up concerts for a period of celebration that will not only embrace their illustrious past but also honour the life and times of original lead singer, guitarist and co-founder Stuart Adamson, who passed away so tragically in 2001. Bass guitarist Tony Butler says “To play again as Big Country was something that was only going to happen if we could find someone who could compliment the band and sing the songs in the way they need to be sung – with heart and soul. Mike Peters from The Alarm has stepped in to fill the premise. It’s about time the songs got another airing, and we think Stuart would be pleased too”. A press aricle regarding the ongoing work on the forcoming ‘Vinyl’ film. WOLVERHAMPTON SHOW – Change of Date + Christmas party! Mike’s Wolverhampton show at The Slade Rooms has been moved to Sunday 5th Dec and will now become the MPO’s official Christmas Party Concert! See you there! Tickets will be available soon via the link on the tour dates on the right. We are pleased to announce that Mike recently had his lyric book returned to him. It seems a misunderstanding led to the book being picked up. The book has been returned with a donation to Love Hope Strength and an apology for the inconvenience. We offer our congratulations to Danny Cohen, who has been appointed controller of BBC1. Danny was a member of the MPO office team for a number of years and worked with Mike, Jules and the team on many Gatherings. Congratulations Danny! Since being diagnosed with Progressive Bulbar Palsy, a form of motor neurone disease, Andrew Gray (Mike’s Guitar tech) has thrown himself into efforts to raise funds for the MND Association which aims to find a cure for the illness. Andy was recently interviewed by the BBC, read that story on the BBC website. MT. FUJI UPDATE – Check out Mike Peters own video blog from Japan. This is Mikes own video blog from Japan. More info, with blogs and photos can be found here on www.lovehopestrength.co.uk and on the LHS USA site. Mike Peters to sing for legendary celt-rockers Big Country who are all set to return to the British stage with the announcement of 4 UK shows to take place in January 2011. More may be added. Tickets are Priced £20 (£22.50 London). Check out these press links to the forthcoming film, ‘Vinyl’, staring Phil Daniels, Keith Allen and Perry Benson. Here at the MPO we are very excited as the project continues. There is a lot of interest around the film, especially since the filming of some scenes at the Rhuddlan Castle Rocks event earlier this month. The Alarm stormed an amazing set at the Beautiful Days festival, hosted by the Levellers at Escot Park in Devon. The show was preceded by a warm-up show at The Orange Box in Yeovil. The intimate venue provided a sweltering show which fired the band up for the ‘beautiful day’. The Beautiful Day mainstage show also featured British Sea Power, New Model Army, James and directly before The Alarm, a storming set by west country favourites The Wurzels, who whipped the crowd up ready for the Alarm. Mike Peters will perform live in Tokyo at Club Doctor on Friday August 27th 2010 at a post trek Mt. Fuji Rocks celebration concert and joined by some very special guests. The event will mark the first time Mike Peters has performed live in Japan since December 1989 when he appeared with The Alarm on the Change tour. Mike Peters will embark for Japan direct from The Alarm’s Saturday afternoon mainstage performance at the Beautiful Days Festival in Devon. 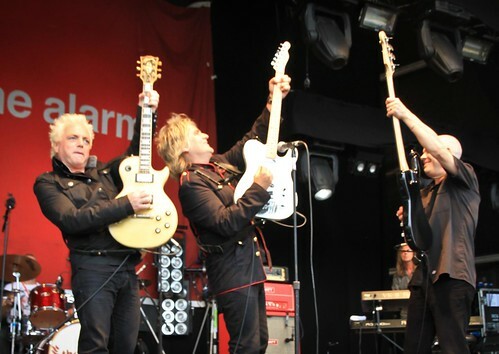 The Alarm are also playing a warm-up show at the Orange Box in Yeovil on the Friday night. Following on from the phenomenally successful LHS Snowdon / Rhondda Rocks fundraising weekends (which helped to raise minimum of £30,000 for cancer Care in Wales – donations still coming in…), Mike Peters turns his attention towards climbing the symbolic Mt. Fuji in Japan. Mt. Fuji Rocks will feature a team of dedicated trekkers and musicians once again led by Mike who will be joined by LHS veterans Glenn Tilbrook (Squeeze) and Brien McVernon (lead singer of the Retro Rockets, a favorite in their native Australia), and LHS newcomers – the wildly popular American acoustic surf guitarists, Donavon Frankenreiter and Matt Grundy. The journey, from August 23 – 29, will raise money and support for the international bone marrow donor registry and LHS’s efforts to help people everywhere – regardless of economic status or location – gain access to life saving treatments. Photos of the Rhondda Rocks event are now online. The photos cover the walk with Mike Peters and a band of LHS trekkers and supports, and then from the evening concert which saw an amazing semi-acoustic Alarm show and another great solo support from Simon Fowler of Ocean Colour Scene. Visit www.lovehopestrength.co.uk or visit the slideshowlinks below. Photos of the Snowdon Rocks/Rhuddlan Rocks events are now online. The photos cover the Glan Clywd Cancer Centre visit with Mike Peters, where some of the trekkers got to see where the money raised for LHS actually goes, the LHS Ball which saw the auction of a number of exclusive signed items and a Gibson/Epiphone guitar. There are photos of the walk to the stop of Snowdon by over 100 LHS supporters and also from the amazing Rhuddlan Rocks event in Rhuddlan Castle which has never before hosted a rock concert. Monday 9th August -Rhuddlan Castle Rocks – Mike Rocked Rhuddlan! 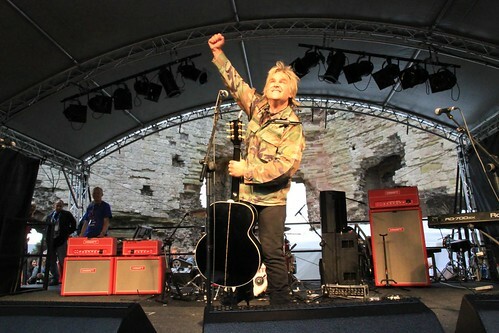 Mike Peters pulled off a remarkable weekend for his charity, Love Hope Strength, hosting a 6am hike up Snowdon with 150 trekkers, followed by a sell out concert at Rhuddlan Castle on the same day. Check out www.lovehopestrength.co.uk for more! Simon Fowler from Ocean Colour Scene is to perform at Rhuddlan Castle rocks on Saturday 7th August. Ocean Colour Scene have had five top ten albums, nineteen top twenty singles of which six made the top ten. This year, the band celebrate 21 years as a great british band, and Love Love Strength are privileged to add Simon to the line-up. In addition to adding Simon Fowler to the lineup we are pleased to announce an extra 50 tickets for local fans only. To read more about this, check out the Rhuddlan Rocks News on www.lovehopestrength.co.uk. 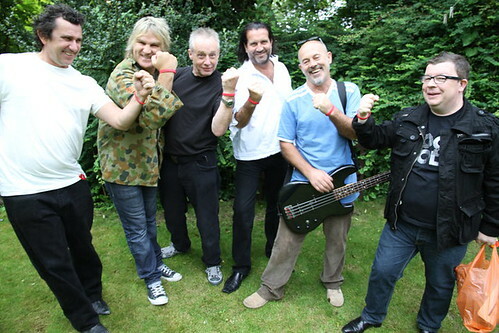 On Friday July 16th 2010, Mike Peters joined forces with Barclays to host the first ever Barclays Life Support Day in partnership with the bank and The Love Hope Strength Foundation. This ground breaking coalition between rock and roll and high street commerce aims to impart cancer awareness amongst Barclays customers and members of the general public as they go about their daily business. “Cancer is the world’s biggest killer” says Mike, “and as such people are often afraid to talk about the BIG C or to come forward with a question about a symptom they don’t understand. I hope that by taking cancer awareness out of the hospital and on to the high street via Barclays, we can break down some of the myths about cancer and show people that by putting up a fight there is hope of survival in more and more cases”. As well as the first ever playing of live music in the bank, during the lunch time hours of 12 and 2 o’clock Mike Peters and the Love Hope Strength team were on hand to talk about cancer related issues along with members of other cancer support groups from the Cardiff area. The hospital buskathon was a fantastic event. Its the first time Mike has embarked on any such event across several places in one day, and the response from the hospitals, patients, staff and visitors made the event worthwhile. Snowdon Rocks has raised close to £150,000 pounds in charity funding over the last three years (all of which has been donated amongst the two main cancer centers at Ysbyty Gwynedd and Ysbyty Glan Clwyd). In recent months all North Wales Hospitals and Local Health Boards have joined forces under the new title of Betsi Cadwaladr University Health Board. As a prelude to The Alarm’s appearance at the Beautiful Days festival at Epcot Park, Devon on August 21st, The Alarm have added a warm up date at The Orange Box, Yeovil on Friday August 20th. These two shows will probably mark the last opportunity of 2010 for UK fans to see The Alarm in it’s full electric glory until The Gathering 2011. Check the Orange Box website for details and ticketing. The EPK ( Electronic Press Kit) video interview with Mike Peters, from the “Release The Pressure UK Tour” is now available to view on The Alarms YouTube Channel. The video was recorded whilst Mike was in Foel Studios and features soundbites of chat with Mike and an alternate take of Direct Action. Wednesday 23rd June – Mike Peters to play at the ‘Armed Forces Day’ in Cardiff. As part of a series of country wide events in support of the Armed Forces, Mike Peters will be playing at the main national event on the Roald Dhal Plass Stage in Cardiff. Mike will play an acoustic set at approximetly 8.40pm on Saturday 26th June 2010. The line-up includes Only Men Aloud and The Soilders. This is a free event. The Tour Dates for Direct Action in the USA and Canada are now finalised. Check out the tour dates on the right. Refer to venue websites for ticketing details andwww.ticketmaster.com. Some venues don’t yet have shows listed, keep checking back for details. The marvelous WinkBall.com has some video clips of the Isle of Wight show and short interview with Mark Taylor. Pay attention to the short snippet of Spirit of ’76. Yes, that is Mike’s guitar flying through the air! Click here to go to WinkBall.com. Tuesday 15th June – Isle of Wight Festival photos. The Alarm have now returned triumphant from the Isle of Wight festival. The gig on Sunday was a fantastic success with several thousand people in the festivals Big Top venue. Band and crew were on the Island for a day or two, played and watched a bit of football, and took in the festival sights. Monday 7th June – Stuart Cable has died. It is with immense sadness that we learnt today of the sad death of Stuart Cable at just 40 years old. Stuart was the original drummer and founding member of the Sterophonics (it was Stuart who came up with name). 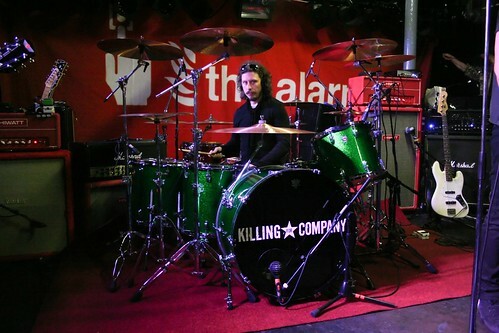 He recently support The Alarm with his new band ‘Killing For Company’ have also played at this years Gathering. Stuart had a big personality and was a lovely bloke to be around. “I will remember him as someone who was so alive- I can’t believe he’s gone”. During the ‘Release The Pressure tour Debra Wood and Lynsey Sweales interviewed Mike Peters at The Rescue Rooms in Nottingham. The audio of the meeting is still available on the wohomusic site and there is also a gig review and a couple of videos. Its a great interview and we advise you to check out the site…it’s fab! Monday 17th May – DIRECT ACOUSTIC and More! The ‘Direct Action’ Area of the website is now re-vamped to highlight the continuation of Direct Action into the ‘Castles, Mountains & Festivals’ dates and the ‘Direct Acoustic’ Tour. More dates will be added!!! All the previous tour info, pictures, blogs and videos can be found in the ‘Release The Pressure Tour’ area. Monday 11th April – RELEASE THE PRESSURE released! The brand new album from The Alarm, ‘Direct Action’ is released. The album can be ordered from the online store and is also available to download through iTunes and other download stores. ‘Direct Action’ can be experienced by joining with The Alarm on the ‘Release The Pressure’ tour, where the album will be available to buy, and you can take direct action now by checking out the videos on the videos page. The ‘Release the Pressure’ video is now available in the video section. This track evolved from an earlier unformed version in collaboration with Ranking Roger from The Beat. One of the first musicians to ever join The Alarm on stage, Ranking Roger helped re-write the lyrics and develop the song into its current version. Surely another live favourite! 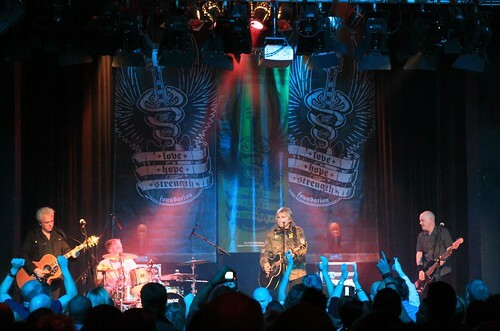 Thursday 1st April – MIKE PETERS TO PLAY CUSTOM GUITAR ON ‘RELEASE THE PRESSURE’ TOUR!!! Check out the photos of Mikes brand new, customer built ‘Love Hope Strength’ guitar, lovingly crafted by Mike’s guitar tech, Andy Gray. Mike will be playing this amazing guitar on the ‘Release The Pressure’ tour, and read on to find out why Andy built it. Hi, my name is Andy Gray some of you may know me from some of the work I do for Mike and The Alarm at The Gathering. I have been guitar teaching for over thirty years and got to know Mike about four years ago when he picked up my business card from a music shop in Rhyl. Since then we have become great friends and I have done all sorts of work for Mike and the band, most of this work and blog I will put up on The Alarm website later. Well here we go… this is the hardest part for me, last year I was diagnosed with ALS a terminal form of Motor neurone disease I and my family were devastated with the news, hey but life must go on and I need to keep busy, each time I get hit with another problem I strive to beat it, my speech has deteriated badly over the last 6 months but I am still active and won’t give up!! ( I’m starting to sound like Mike now!!). Mike Peters well what can I say that most of you will all ready know! This guys energy is just beyond belief writing lyrics, recording, rehearsing, touring and charity work and mixing this all in with being a father and husband, he never stops!! He always has time to talk to anyone, he is always texting and phoning me to see how I am and that goes for Jules’ too, so with the mushy side of things out of the way lets talk about the guitar!! When the tour was rescheduled at the end of last year it freed up some time for me so I asked Mike would it be ok if I could build him a new white Telecaster as his old one is now about to be retired to which he replied he would be honoured to have me build one. I had an ash body which was a stock item that I had never got around to using so this was the start of it, the neck blank was made for me by an old friend Kevin Jones from down Mid Wales (now retired) I took most of the measurements from Mikes old Tele to work the profiles, as you will see on some of the build photo’s, I shaped the neck to a C profile and fitted med / jumbo frets, locking quick change machine heads, Graphtec stringsaver saddles all CTS pots, cloth wiring, and Seymour Duncan pickups, now that was the easy part for me!! The next thing was the ideas for the graphics as I wanted to build this to promote the LHS Foundation which is close to most of our hearts, so I thought it would be great to put the main logo on the front behind the bridge and put all the event fund raisers and mountains climbed to go around the edge of the body, it was then Mike came up with how about doing the back in CAMO!!!!!!! Four Months later it was finished and it needed 4 weeks for the 12 coats of lacquer to dry. It’s now ready for the tour and I dropped it off to Mike 30th March 2010.. I hope you enjoy it Mike as much as I did building it for you . Cheers for being a great friend..